Congratulations on your recent engagement and your upcoming wedding at Blessed Sacrament Parish! 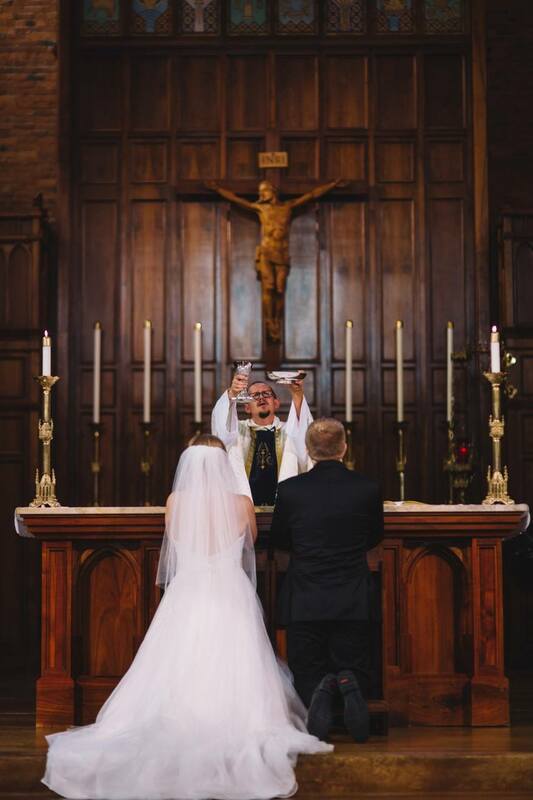 We are committed to providing beautiful liturgical music for your Nuptial Mass/Wedding Rite. To assist us in this end, please take a moment to review our Parish policies and FAQs regarding liturgical music that has been approved by both our Pastor and our Music Ministry. Any musical works requested that are not included on this list music must be approved by the Blessed Sacrament Musical Director and the Organist (instrumentalist) and may require an additional fee for sheet music purchase and additional rehearsal time. Please submit all music requests to the Music Office (mloucks@bspwa.org) at least two months prior to your scheduled Wedding date. Secular music (including music from movies, television, musicals, plays, operas, etc.) is not appropriate for your Nuptial Mass/Wedding Rite and is not permitted. Thank You! Scroll down to review a lengthy list of pre-approved wedding music!